Like any other type of investing, there is some degree of uncertainty when it comes to making property investments. As part of their long-term strategy, many property investors pay close attention to current events, economic fluctuations, and predictions from the media and real estate experts. When making your own property investment choices, how much weight do you give to current events and opinions? Do they influence your property buying or selling decisions? In today’s article, we’re going to give you our advice on how you should respond to real estate predictions in 2017. There is a great deal of fluidity in the markets right now. At a local level, we’re contending with new LVRs and post-earthquake supply and demand changes. Nationwide, there’s concern that Auckland’s property bubble will burst and that the country’s property boom will soon come to an end. Global financial instability, should it happen, would have a serious ripple effect in our own markets. And let’s not discount the havoc that another earthquake could cause – something we have recently been reminded of following the tragic events in Kaikoura. At the moment, forecasts are so diverse that they are nearly useless. Homebuyers and investors are left feeling unsure of their next move. Is it time to sell? Do I stay put? Or should I buy before things get really wild? Predicting what the market will do has long been a favourite pastime of property experts, journalists and investors. But is it something that you should take seriously? While it never hurts to listen, I certainly wouldn’t pin my future on these opinions. While many “experts” are obsessed with making predictions about the property market, the secret to smart property investment is all in the numbers. The property market moves in cycles. We’re in a boom now and it’s likely that will come to end, causing stagnation in the property prices. But that doesn’t mean you need to sell now or wait to buy. Regardless of market conditions, it is vital that the numbers make sense. The best thing you can do is diligently review the financial aspects of the property you are considering. You need to understand how this property fits into your portfolio, the amount of financing you will receive, and how well positioned you are to ride out a storm, should it hit. There is a popular saying that ‘it’s always a good time to buy property.’ We agree wholeheartedly with this, provided that the property fits within your personal financial situation. In the long run, property prices always go up. You might need to wait longer to sell, but you can be assured that you will eventually make a profit. 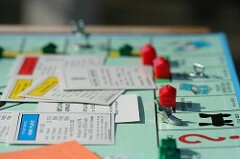 Those who lose out in property investment are the ones trying to get rich quick. Property investment is all about patience and trusting that the sound investment you made will pay off. Bottom line, do your research and dig into the numbers. Once you’ve made the investment, staying on course is the best way to ensure profitability in the long run. If you’re new to property investing, you may feel understandably nervous about the erratic and varied property market predictions. Regardless of the market state, we always recommend that new property investors find a seasoned mentor who they can rely on for advice. A property investment mentor can provide guidance when choosing an investment property and offer reassurance during times of uncertainty. At McPhersons, we have been working with Christchurch property investors for nearly 20 years. If you’re thinking about buying or selling a property, we encourage you to contact our experienced team of real estate agents before making your next move!